I had tried once before to track down those slides from the 1980’s. It was a couple of years ago and there had been a conversation about the aurora, maybe it was just after my brother had come back from Abisko in Sweden, his patience under cloudy skies rewarded towards the end of his visit. I thought the ones I had taken were in the loft, but all I could find were the holiday photos of our mid-twenties and they distracted me. 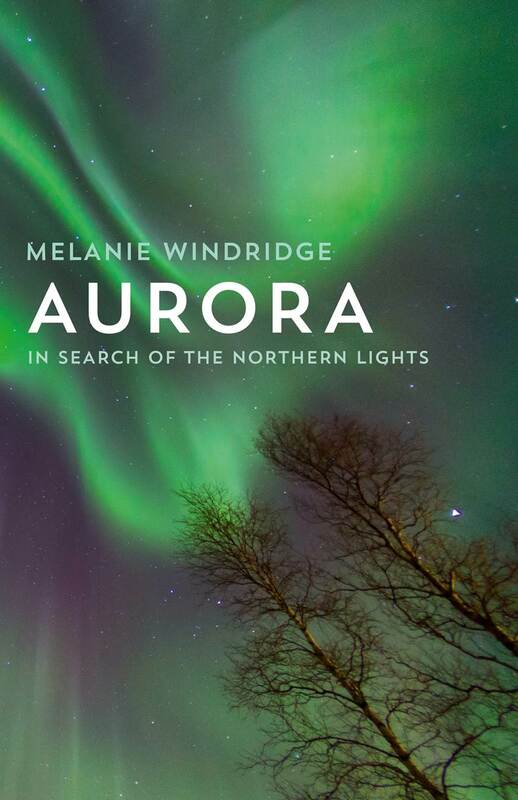 In early April 2016 we were preparing for the festival at Imperial College and I found I was to be interviewing Melanie Windridge about her book “Aurora”. Maybe it was worth another try? But by now, I wasn’t even sure that I had taken the photos. I could clearly recall being outside in our garden in Twickenham, South West London. I remember the bands of green, of calling my wife out to see, but had I been fortunate enough to have a camera loaded with the right high ISO film needed for astronomy shots? 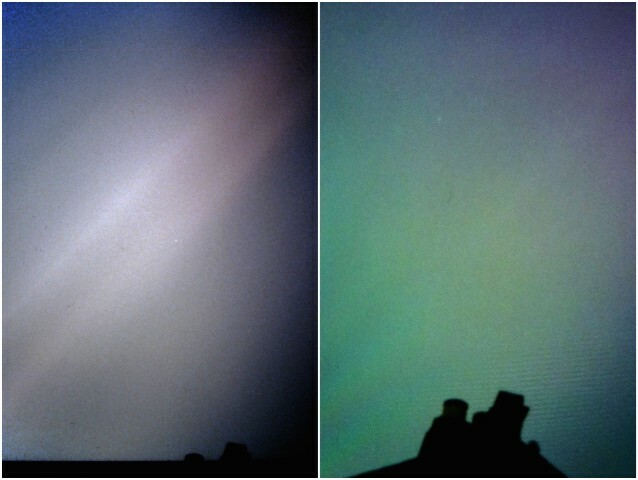 I think it all started happening at about 7 pm, soon after the sky was dark. Lights that were far too nimble to be scudding clouds caught my eye and before I fully understood I was gazing up into a crimson crown of streamers. It was all without warning, and as quickly as one structure appeared another caught my eye over another roof. I remember I had been taking star photos at that time. I used a Soviet era “Zenit” SLR camera, one which produced a permanent gradient across the film and which would not have had so much a “User Group” as a “Therapy Group”. Well, if there was a time to find the slides, it ought to be now. Even if one does not share a loft, they are places where frequently used items, such as suitcases, walking boots and tax returns, circulate like the sediment of a river bed. Each time you go up, they are somewhere else. Birth certificates and snorkelling gear may have a dedicated zone that is more infrequently accessed. At the bottom are the most cherished, but neglected: photo albums and VHS cassettes. In this bedrock would be the slides, if they still, or ever, existed. But knowing which bits of the loft are undisturbed is another game, a little like spotting the differences between two very similar pictures. What hasn’t changed, in the months since you last went up? And the more you look, the more you disturb, further hiding your treasure. I didn’t really think that the VHS cassettes would be the key to everything, but in fact the plastic boxes of slides were mixed in with them. Were they new boxes or the same ones I had seen before? Back in the bedroom, I could see more. There were about 12 boxes that did have stars in them, some against very dark skies, which must have been shot in the countryside. Each film also seemed to be numbered and incredibly, the slide mounts themselves were dated by month and year. So, if I was looking for March 1989, I would be looking for a set that had been developed about then. Eventually I found the ones that were dated “4/89”. A whole month later. A whole month I’d had inaccessible, unknown images that would first be seen by someone who worked at Boots. There were these 30 odd shots. Most bearing more witness to my inability to correct my flaws and those of the Zenit than any traces of the cascade that had rained over my head, but I really had done it. 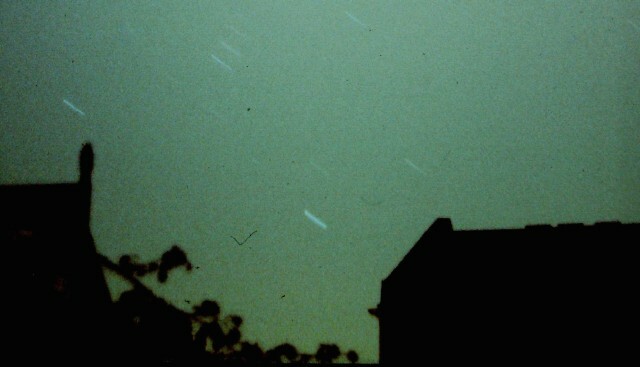 And there was one with two clear streaks angling down to a London house. Another with the trail of Orion’s stars setting through a greenish sky. They were rubbish. But something had happened that night, something that had overpowered the glow from London’s streetlights and overwhelmed me. Not in the North of Norway or Iceland or Canada, but here, at home. Even now, what I most remember is what the slides could not show. The energy and movement, casual and silent, curtains and crowning glory, on which unexpected torrents splashed light. Afterwards, on the other nights that I took star shots, the glow of London’s lights was a comforting russet, as it always had been. I wonder what is in the lofts of other London astronomers. Aurora over London, 13th March 1989. 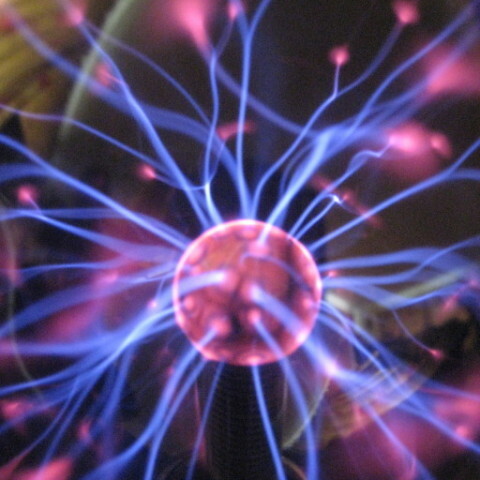 This story is by John Evans from London, UK.